TaylorMade's new Spider X mallet putter offers a slimmed down profile compared to the original Spider. 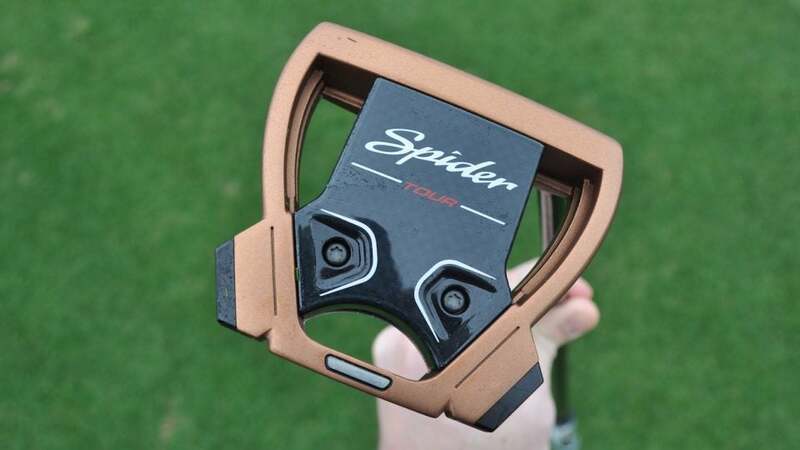 Bill Price, TaylorMade's senior director of product creation for putters and wedges, made things abundantly clear during a recent conversation about TaylorMade's new Spider X mallet putter. While the new mallet has the Spider name emblazoned on the sole, it's not a direct replacement for the popular Spider Tour. If anything, the compact shape of Spider X is opening up the potential for other players, particularly those on Tour, to consider the mallet going forward. "We're getting a new player," said Price. "We're getting someone who would not go into the Spider because of the shape and weight ports on the back part of the head. We'll probably always have the original Spider, but Spider X gives us a chance at grabbing a larger piece of the pie." Spider X landed a notable name right from the start when Rory McIlroy switched to the putter during the winners-only Sentry Tournament of Champions event. McIlroy used the original Spider Tour briefly during the 2017 U.S. Open but discarded it shortly after missing the cut. He's never used it since. "[Rory] was never comfortable with that putter," Price said. "The jet engine weights on the head bothered him, as did the boxy shape. Some players like that look, but there's a group that wants something that more closely resembles a modern mallet, which is exactly what we were going for with Spider X." The design begins with a streamlined shape that's reminiscent of Spider Mini — the overall size was reduced by 5 percent without impacting MOI — but offers significantly more forgiveness with additional weight placed along the perimeter of the frame (36 percent of both perimeters versus 30 percent), and a center of gravity position that's three times deeper than a traditional Anser-style blade (37mm) due to a 15-gram composite core weight. The heel-toe weight ports were scaled down to reduce the overall footprint as well. However, unlike Spider Mini, the ports are functional and feature three new material options to optimize head weight: aluminum (2 grams), steel (6 grams) and tungsten (12 grams). The optically engineered vision system on the crown helps with alignment. Ten years of putter data, specifically from a range of 12 feet, also revealed that golfers, recreational and professional, tend to strike the ball toward the toe 66% of the time. Believing there was a parallax effect going on — when an object appears to change positions when viewed from different angles — Price and his team went to Indiana University to learn more about optics and how they affect the way golfers see the putter and ball at address. "Because our eyes are inside the center line of the putter, it allows that ball to be distorted and fools our eyes into the thinking it's centered," he said. "In actuality, it's sometimes a few millimeters towards the toe." The solution to the alignment issue was a new True Path system on the crown designed to improve focus while increasing the potential for more putts to catch the center of the face. According to Price, studies revealed that increasing the width of the sightline to 50 percent the size of a golf ball can increase focus and concentration on the center point over the course of a round. TaylorMade's Pure Roll insert returns with Spider X, but the overall thickness of the white surlyn insert was increased to 5 millimeters to improve sound, feel and roll characteristics. The 12-groove design on the insert promotes forward spin for a more consistent roll and better distance control. The head color was altered from a distinct red that was popularized by Jason Day to copper/white and navy/white colorways. Price noted both offer a high contrast look with a "premium feel." At the moment, McIlroy is the highest profile name using Spider X. Price anticipates others giving it a look as well, but there's no push to get those currently using Spider Tour (namely Jason Day and Jon Rahm) to convert. "Everyone's seen it," Price said. "We're kind of going at their pace. If they start to have alignment issues, they'll move over to Spider X. The biggest story here is the larger number of players that are currently giving the putter a look. Some of those guys would've never considered it in the past. The modern shape has certainly changed things." TaylorMade's Spider X (right- and left-handed) retails for $349.99 and will be available Feb. 15 in three lengths (33, 34 and 35 inches) with SuperStroke's Pistol GTR 1.0 grip.